Samsung's Pro line of tablets was considered ridiculously expensive when it debuted, but thankfully for those who want in on the hardware, the market is quickly correcting the company's overzealous pricing. After seeing big price drops on eBay in both May and June, the refurbished Galaxy Tab Pro 12.2 is now cheaper than it's ever been at $369.99. That's nearly $300 off the retail price of the new tablet, and much more palatable when compared to offerings from competing manufacturers. 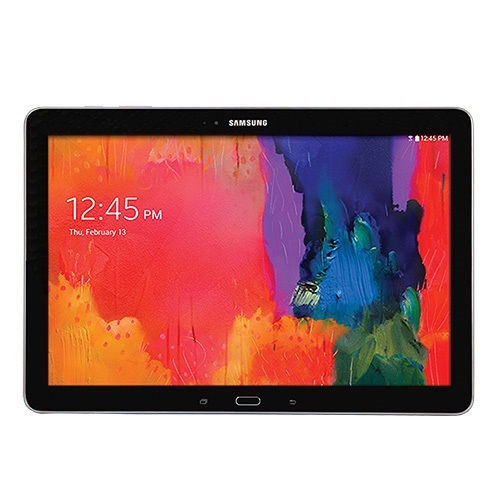 The Tab Pro 12.2 is among Samsung's best-equipped large tablets, second only to the Note Pro 12.2 (with its stylus and Wacom digitizer) and the Galaxy Tab S 10.1 (with its Super AMOLED display). Shipping is free to the United States, and the seller is also offering the item for buyers in Canada, the United Kingdom, Germany, Australia, and many other nations... but strangely, not Alaska or Hawaii. Sorry, non-contiguous readers. The item location is given as "United States," so it isn't clear which states will be charged sales tax. This particular Tab Pro is offered as "Factory Refurbished with a 1 year Quick Ship [eBay seller] warranty," which may be a deal-breaker for some - non-manufacturer warranties have a poorer reputation when compared with their direct counterparts. If that doesn't bother you, head on over to eBay to pick one up. Only 52 have been sold so far, so I doubt there's a rush on the listing. eBay is also offering a 14-day return policy for its featured items. [Weekend Poll] What Keyboard Are You Using On Your Android Phone?